Instead of dreading Mondays, students at Summit Sierra High School in Seattle actually complained about taking two weeks off for winter break--they missed their teachers and classmates that much. "My daughter can't wait for the weekend to get over so she can go back to school," parent Natalie Hester told me during a recent tour of Summit Sierra. "That's when I knew this was the right school for her." The students don't just love their school, they're learning at a rapid pace--catching up and getting ahead. This is particularly impressive in a school that opened just five months ago, especially when you hear that 40 percent of students entered behind in reading, and more than half were below grade level in math when they arrived. When you give students the trust, support, and opportunity to own their learning, they rise to the challenge. Flexibility is a core theme for Summit Public Schools, the non-profit that manages Summit Sierra in Seattle, as well as one other high-performing public charter school in Washington, and seven in California. Summit has a rigorous, personalized, project-based curriculum where 100 percent of students meet or exceed four-year college entrance requirements. When you walk into Summit Sierra, you'll find students in a large, open space, studying on their own, or working at laptops. A few gather in small groups for discussion, while others have one-on-one time with their teachers. Teacher Aubree Gomez knew the second she interviewed with Principal Malia Burns that she had to teach at Summit Sierra. "Everything about this school completely aligns with my philosophy on teaching," Gomez told me, emphasizing the empowerment she feels through the school's personalized approach. Each Summit Sierra student has a Personalized Learning Plan that helps them keep track of how they're progressing in multiple skills. Students and teachers use this information to set weekly goals, and students and their parents can access the profile at any time. Projects are laid out for students in their "This Year" dashboard. Areas highlighted in green are content knowledge students have already mastered, while red items indicate content they still need to learn. A bar on the dashboard moves as a student progresses and sets a "minimum pace" so that students--at any time--can see if they are behind, on track, or ahead. This personalized approach empowers students to learn at their own pace, and allows teachers to provide the tailored support each student needs to succeed. It's also critical for teachers looking to engage an incredibly diverse student body. The technology is designed as a tool to keep students at the center of everything the school does. 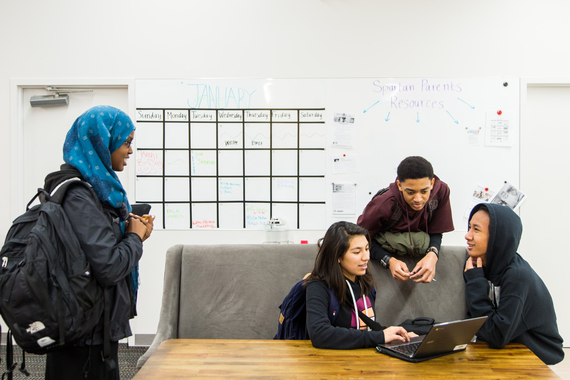 Ninth-grader Jerald Flower's favorite part of the day is group conversations in class, "Because we get to hear different perspectives from everybody, because we come from all over Seattle." The 110 students who signed up to attend Summit Sierra in its inaugural year come from all over the city. 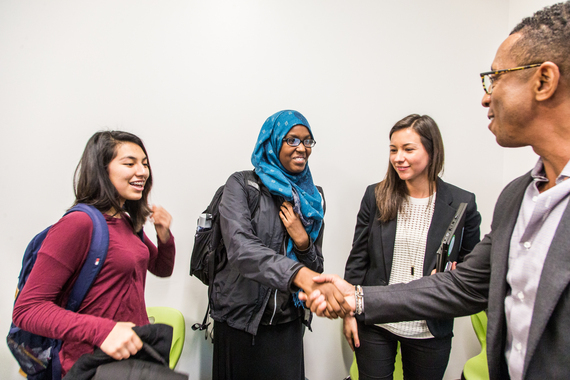 Classrooms represent the diversity that makes Seattle so special: 34 percent of students are black, while another 22 percent are Asian or Pacific Islanders who descend from immigrants from Vietnam, China, Cambodia, the Philippines and elsewhere. Twenty two percent are white, 13 percent Latino, and 9% are biracial. 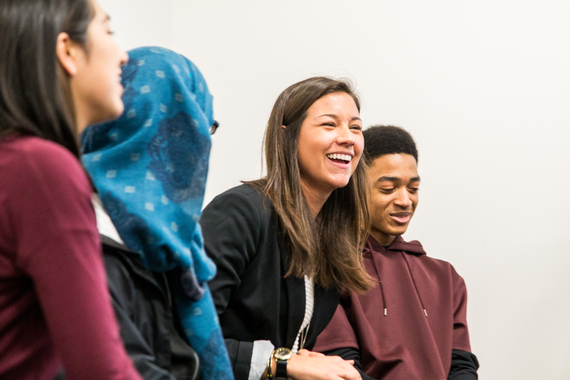 At the Gates Foundation, we believe all young people deserve the opportunity to reach their full potential--and work to ensure that a child's race, income, or neighborhood no longer determines the opportunities they'll receive in life. In Washington, a state where the achievement gap is getting bigger, schools like Summit Sierra are helping parents, and students get one step closer to our vision of equal opportunity for all. Despite the joy that students and parents have for their schools of choice, and the academic results that are already dramatically improved in just half a year, the 1,100 students enrolled in Washington's brand new charter schools could lose the option to attend these schools unless the legislature finds a permanent solution to what amounts to a technical glitch in how they are funded. One comment from student Sumayo Hassan really stuck with me. "You see people for who they really are--not for the stereotypes you see in society," she said when reflecting on what makes the school so special. Students like Sumayo and Jerald blew me away with not just their commitment to learning, but their hopes and dreams for what this world could be. By empowering diverse students like them to take charge of their own future, I feel pretty good about where we're headed.